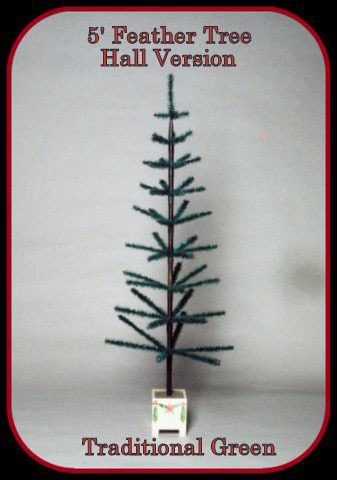 The 5' tree is available in 2 styles. main branches. The Elaborate version has 48 side limbs. diameter of 22" and the elaborate tree has a 28"
diameter. The tree is in one piece. The tree can be set on the floor but we suggest placing it on a table.